the right story, well told, can change your life. I love courageous stories, the kind that make you laugh, and weep, and hope. Stories for brave hearts. I'm in the storytelling business, both as an author, and an editor and writing consultant. In my own life, I'm into the life-changing power of the oldest story. Join me, and write your own brave-heart story. 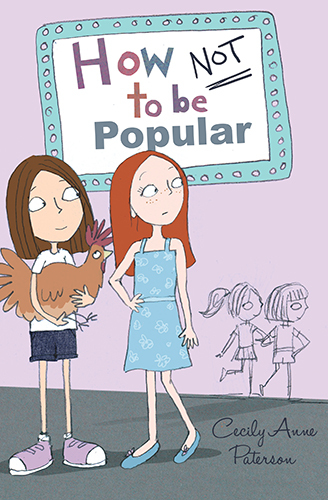 My brand new novel, How Not To Be Popular, featuring Maddie, undies and some very cute chickens.